Mozilla has begun rolling out a fix for Firefox that stops malicious sites spamming you with authentication request prompts. 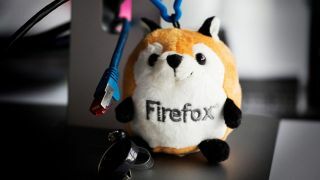 The fix is currently available in Firefox Nightly (a beta version of the browser that lets you try upcoming features), and according to ZDNet, it's expected to appear in the release version in early July. These prompts usually appear on fake tech support sites, and appear in an infinite loop, preventing you from leaving the site or closing the tab. Following the Firefox update, sites will only be able to show a maximum of two prompts, preventing this from happening. Mozilla has previously issued a fix for the plague of authentication pop-ups, but it only blocked those that originated in sub-resources like iframes. According to a report from engineer Johann Hoffman, the block now applies to the domain of the top-level frame (the URL that appears in the address bar), preventing malicious sites from locking up your browser. This is the latest in a series of fixes that Mozilla is rolling out to make the web a less frustrating place. The most recent stable release, Firefox 66, prevented videos autoplaying with sound and implemented scroll anchoring, which stops web pages jumping as images and ads load above the text you're reading.